We’ve been around the world in the past week, visiting places Alexis and the rest of our beloved characters travel to throughout the Soul Savers series. Thank you to everyone who joined us, including the fabulous authors who donated their time and precious social media real estate. Now that you’ve seen the new covers for the main books in the series (Genesis and Wonder will be getting new threads soon), we get to my very awesome, very big, very special announcement. Anyway… If you’ve read through Faith, there was a bit at the ending about a new spinoff series, Age of Angels. Well…that’s not quite happening. See, nobody except me, and my agent and a few others, really knew what Age of Angels was. I’d kept it quiet because it was an enormous project in my mind. Basically, it was a series of stories about other characters in the post-war Soul Savers world. The first book started where Book Six starts – when the Daemoni came out of hiding – and followed a young woman trying to get home during all the attacks. Subsequent books were about other characters, including some you’ve already met and others who are new. I have three seasons with 8 stories each planned out. A couple of things happened, though. First of all, I had a heck of a time writing those stories. That first book has no fewer than eight false starts – eight files, each with several chapters. I could not figure out my problem with it, but I hated it. I dreaded writing. I’d have to force myself to sit down and pound out some words, but it was painful. When I thought I’d done well, I checked my word count and had 500 words, maybe 1,000 on a good day. That is not a good day for me. This torture went on for months, until I finally admitted defeat. No matter how many times I thought I’d figured out the problem, I found myself still hating what’s supposed to be my dream job. That told me something was wrong. Secondly, when I allowed myself to daydream freely, my mind kept going back to Alexis and Tristan. I missed them. I received tons of messages from readers about how much they missed them, too. And, incredulously, countless readers told me how they hadn’t read Faith because they didn’t want the series to end. And I began to think that there was more to their story and mapped out some possible storylines. I worked those into what I had planned for Age of Angels, along with other series to take place in the same world. I have SO. MANY. It’s insane, really. But still, I thought that first season of Age of Angels needed to be written and published before going back to Alexis and Tristan. And still, I forced it. And still, I hated what I was doing. By now, we’re in the middle of summer, and I’ve produced nothing worthy of publishing. Nothing even complete. You have no idea the mood this put me in. You don’t want to know. Trust me. My husband will tell you, but it’s very ugly. After some more hard thinking and staring at my plans for all these interweaving stories, I finally had an epiphany. More of Alexis’s story needs to be told before anything else. And, in fact, her story, at least part of it, is Age of Angels. She’s the beginning of this new era. She’s launching it. This is what everyone has been preparing her for – the big battle was only the beginning of her coming into her leadership role. I already knew I didn’t want that Age of Angels series to be about her, so then I wondered if I should do a Soul Savers II series or just continue on with the Soul Savers series. Since it’s a continuation of her story, and to make it easier for readers to find, I decided to simply continue the series with Books 7.5 and 8 (and 9 and 10). And there is still yet more to come. 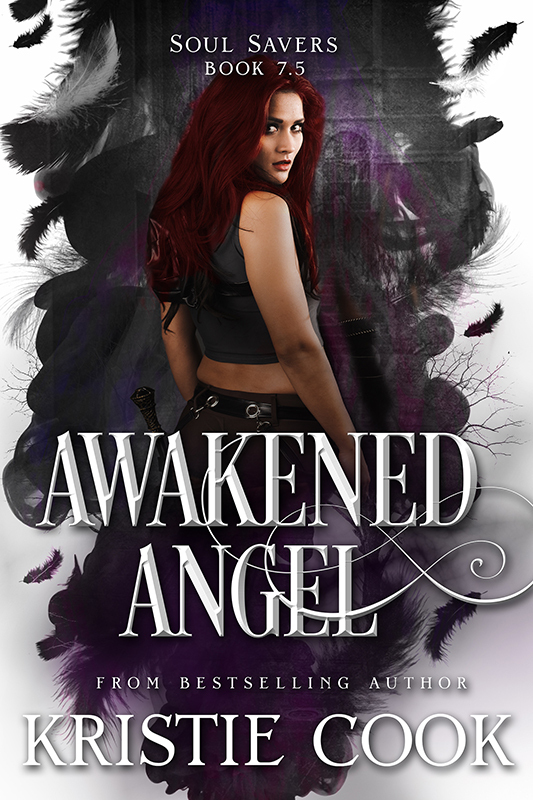 A novella that serves as a new entry point into the series, tying the end of Book 7 and the destruction of the world to the new era—the Age of Angels. Although you might enjoy it more, you don’t need to have read the previous books to understand this one. As leader of Earth’s Angels, Alexis is charged with helping the world recover and rebuild after being ravaged by human and supernatural wars. Her own backyard has been the worst hit, however, and she’s barely able to take care of her own community, The Loft. What’s left of their water has been contaminated, so she and her elite team go to the surface to find a new source. But in a surprise attack by a new kind of legendary creature, Alexis loses her memory of who and what she is. Entire species of creatures that had been locked in Hell for centuries have returned to take their own claim. But her biggest challenge is preventing another war among groups of humans who fight not only for resources, but for power. Alexis must step up and be the leader she’s meant to be, or it will be the humans themselves who are the biggest threat to humanity. The best-selling, award-winning Soul Savers series continues with Book 8, which can also be an entry point into the series, followed by Books 9 and 10. 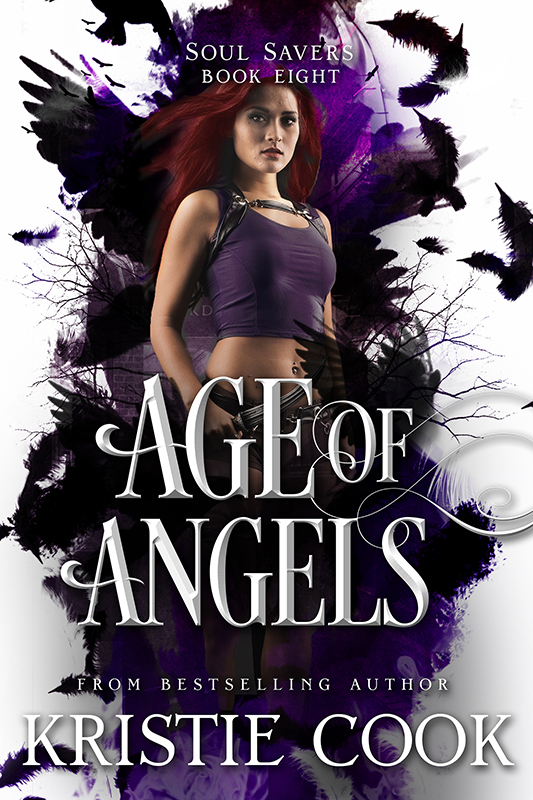 You don’t need to have read the previous books to discover this new era—the Age of Angels—but you’d probably enjoy it more. Covers for Book 9 and 10 are coming soon! ENTER THE BIG SOUL SAVERS WORLD TOUR GIVEAWAY AND WIN! Just list them all in the box. I’m snoop glad Alexis’ story will continue. I struggled right along with her in every book! Thank you so much. I can’t wait. I’m a bit confused. With the new covers what changed in the stories? I love these books and can’t wait to read the others. What changed in the new books? When will they come out in paperback? I would prefer to have them in paperback. This is great new I’m glad that Alexis story is not over. I love your books so much and there were a couple of times where I stayed up past four reading them (don’t tell my parents) and ur really amazing. I got really inspired by your books so I started to write one too although it’s kind of bad but either way your books helped me like the idea of write and now I just love language arts. And the thing isn’t letting me register for the give away. Fantastic why have I only just read this series, i have read then in what feels like a day I have blasted them out and stayed up reading till silly tines of a morning, read while cooking dinner alsorts you couldn’t imagine. Love love love them and desperate for the new releases. How do I pre order please.